Oh, friends, happy Fall! Can you believe that it's already time for the Autumnal Equinox? It seems as though summer just began, and now here we are racing into Autumn. I'm sorry that I've not published anything here for the last few weeks. I have much to share in the coming days, though! I'm glad you're here for this week's Grace at Home party. Here are some links from last week's party I thought you'd enjoy. 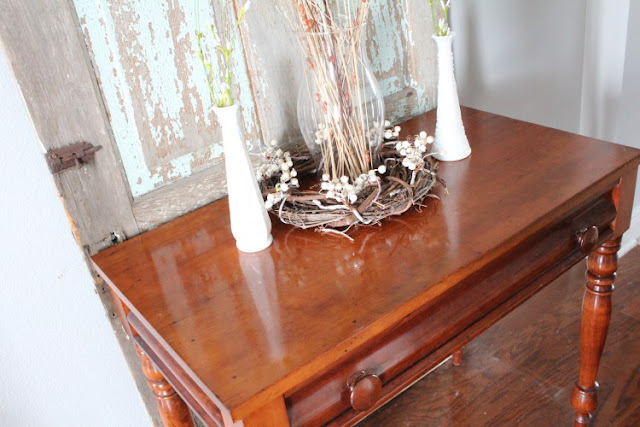 Lindsey from Repurpose and Recycle discovered how to refinish wood furniture using just two household ingredients. I'm going to try her method. 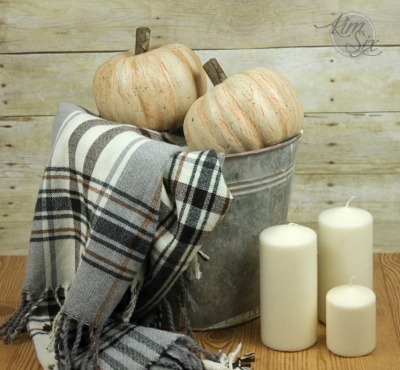 Joy from Artful Homemaking rounded up 12 creative ways to decorate for Fall using items from the dollar store. Lots of inspiration! Sweet Carol from An Oasis in the Desert has been fighting cancer this past year. Now she's decorating her house for Fall and giving us advice for what to do when we're worried or stressed. 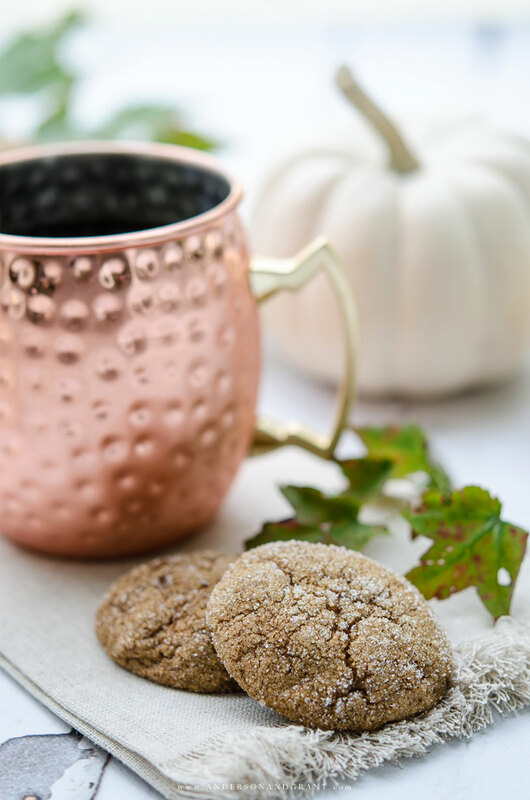 It's time for all things pumpkin spice, and Jamie from Anderson + Grant shared a recipe for Pumpkin Molasses Cookies I'd really like to try. Don't these look delicious? 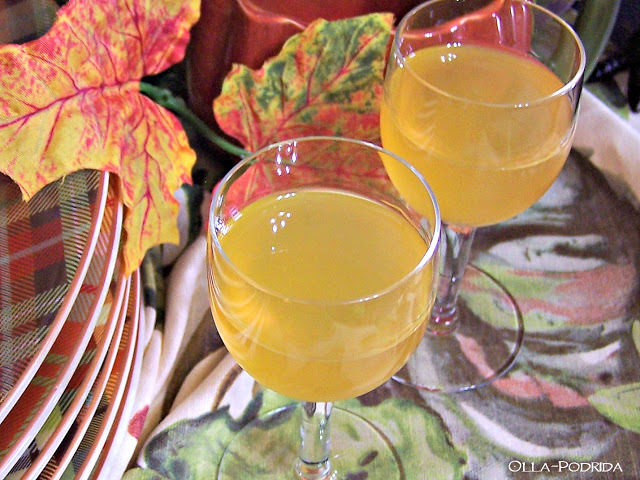 For a different kind of pumpkin spice treat, I'd like to try this recipe for Pumpkin Spice Liqueur from Pattie at Olla Padrida. I really can't believe it will officially be fall tomorrow! Love this time of year! Thanks for hosting! Your lovely tribute to the season motivates me to get out my fall tablecloths and to start enjoying the beauty of it all. How sweet of you to feature my post, Richella! That hasn't happened in a very long time...truly appreciated. I am almost back to normal in my cancer journey, whatever "normal" is when you've gone through such a life-changing experience. I see my oncologist every 6 months...she refers to it as surveillance and just had an all-clear last week, YAY! Thank you again for the feature, Richella. You are so sweet and kind. Glad that you liked the tour of Wegman's seasonal department!! I can't wait to see what they stock for Christmas. Thanks so much for stopping by and thanks for hosting!! It's hard to believe it is fall. Thanks for hosting and I hope you are having a great week. Thank you so much for the feature! After the success with the Pumpkin Spiced Liqueur, I am now making Praline. If it is successful, I'll let you know! Thank you so much for hosting. Hope your week continues to be great. Richella, thank you for hosting us, and I hope fall comes your way in a way that's full of joy. I am looking forward to visiting Carol and reading her tips on stress. I know she's been through a lot and I trust her words will have an impact. I welcome your readers to visit my little corner of the world. Happy Fall, Y'all! Thank you so much for hosting a lovely party! Thanks so much for featuring my post, Richella!